Welcome to my new flamenco blog! This new flamenco blog offers flamenco students, teachers, aficionados and others interested in flamenco a means to ask and discuss various topics with a world-renowned, Emmy Award-winning dancer and choreographer. Yaelisa, a second generation flamenco artist, was exposed to flamenco from birth and her decades of close involvement in the art as a dancer, choreographer, teacher, producer and curator working alongside some of the world’s greatest flamenco artists provides her a unique insight and knowledge base in every facet of flamenco from cante to the history of the art. As a celebrated educator and arbiter of flamenco, Yaelisa wishes to share her expertise openly with those desiring to know more about this mysterious and often misunderstood art called flamenco. She invites you to ask any question – no question is trivial, so welcome to the site! Ask your questions by entering it into the LEAVE COMMENT section below. I attended your show in Kuumbwa Jazz on March the 28th. I was a student of Flamenco many years ago and am planning on going back to school later this year. Right now, I am taking a world music class and decided to do my concert review based on your show. Could you tell me the name of the songs that were played that night? which was the solo song played by el Rubio? 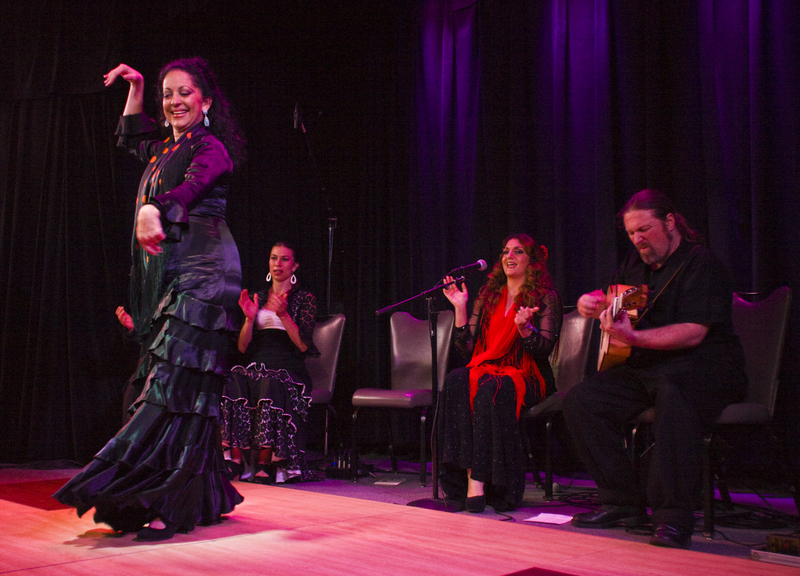 The show was awesome and I want to see Caminos Flamencos again! Bravo! Hello Maria, thank you for writing!